E-Governance is services between government to customer and customer to business that involves application of communication and information technology which is used for stand-alone transactions and for exchange of information. E-Governance provides government services in an effective, transparent and convenient manner. It is already accepted by the developed countries and is gaining wider acceptance in developing and underdeveloped countries. It is a challenge for developing countries. The project discusses E-government which refers to the application of technologies of information and communication to all the aspects of business of the government. Various recommendations and suggestions have been discussed regarding service delivery. Service delivery can be defined as that component of business which involves interaction of two parties, service provider and clients where service is provided by the provider to the client who can be providing information or completion of the task and as a result of providing these services the client either gains or loses value against the result. It is built on the mission and vision and the leadership values. When a superior culture is developed it results in long term success of the organization. This service culture helps in achieving the long – term objectives of the organization. Employee engagement: The processes will be effective if carried out by higher engagement. Employee engagement includes attitudes of employees, HR involvement and leadership for a purpose. It acts as a bridge between the design and execution of service model. When the involvement of HR and right kind of leadership is applied for activities like management and control then it is easier to achieve the objectives. Service quality: It includes the processes and strategies for the entire service model. Assisting the client and providing him with best services is the main motive of a service provider. It also leads to customer satisfaction and continuous improvement as the aim is to provide best services to the client. Staffing capacity: The employees generally face the problem of being underpaid or overwork which also leads to deterioration in their performance. The value provided by them is not rewarded correctly. Their responsibilities keep on increasing whereas rewards remain constant. Pushing them towards performing their jobs in an effective, efficient and sustainable manner is a challenge. This also leads to leaving of staff and inability to keep them motivated throughout. Funding: Meeting the demands of funders can result in depriving the organization from valuable resources as funders play a significant role in improving and affecting service delivery in the private sectors. Organization: Many organizations despite providing excellent services lack efficiency and time to divert their resources in the direction where it can further lead to enabling the empowerment of the organization in further aspects. Tracking and measuring outputs is a vital function to be performed by an organization though these are not the core aspects of service delivery but serve as building blocks for an organization. Lean six sigma: It is a managerial approach that uses six sigma methods and the lean philosophy to eliminate wastage of time, talent and efforts and assures quality in the process of the organization. (Antony, Rodgers, & Gijo, 2016) It aims at the satisfaction of customers, search of root causes to a problem, involvement of employees and incorporating continuous improvement systems in the organization. It has been derived from a collection of techniques. Lean six sigma enhances customer satisfaction and greatly reduces costs. Six sigma focuses on four goals. Trust building by eliminating fear. Business Communication of the vision of the organization clearly to the related parties. Long- term(Zhu & Hassan, 2012) cultural change initiation. Adoption of consistent and robust methodologies. Step 1: Platform: A burning platform must be created for continuous improvement initiative, to understand the problem that is to be addressed. Step 2: Resource placement: It implies right placement of resources like employees, material and technology. Step 3: Methodology: The team members of an organization must be taught the methodology and skills to achieve the aims of the organization. Step 4: Prioritize: Opportunities must be prioritized. Step 5: Ownership establishment: It is important to identify the responsible person for the entire team. Step 6: Govern program: Governance structure must be identified. Step 7: Contributions: The contributions of each of the team members must be identified. Organizational component: The components of an organization include structure, technology, people and task. Structure defines the arrangement of people in the organization, how the management and people are arranged in the organization, the control structure and how things are controlled, managed and monitored. Software implementation: It is a structured approach that effectively integrates software services (Heaton, Skok, & Kovela, 2016) into the structure of the organization or of the individual user as the case may be. Software implementation forms the core part of the service delivery system. When right and proper software is designed and implemented then it can lead to success in the activities of the organization. Government processes: eAdministration - This process related with the internal workings of the public sector. It involves managing the performance of the processes by planning, monitoring and controlling the performance of various resources. It involves cutting unnecessary costs and transfer of authority. Society and citizens: eSociety – It involves involvement of government and citizens, talking to the citizens, listening to them and taking measures to improve services. Connection of citizens : eCitizens – It defines relationship between government agencies and other institutions. It involves strategic development of communities and partnership building. The developing country chosen for drafting e- government service delivery infrastructure proposal is Morocco. Defining of goals and vision: Defining the goals and vision of the proposal and what outcome is needed for the proposal is the first and foremost step in the strategy design for the proposal for new service. (Levitt, & Eriksson, 2016)When the goals and visions are clearly defined then it becomes easy to achieve long – term objectives and design strategies accordingly. Setting up high level leadership taskforce: Task force refers to the temporary people that are needed in the execution of a task or to deal with a specific problem. It is an important issue to address the task force as it will help in setting up strategies and formulating plans thus designed. Therefore, leadership taskforce is needed by Morocco at a very high level. Assess status: The status is then to be assessed as to the objectives and goals of the Morocco government, what is its current status, what are its requirements, what changes are to be incorporated and what corrective measures can be further undertaken. When status is assessed at this level, it becomes easy to identify the areas of problems and identification of steps to resolve problems becomes easier. Secure political support: Securing support from political parties is the basic need as when the government gets support from all the sides then only it can take up further steps to bring revolution in its workings. Establish stakeholder participation: Participation of stakeholders is significant as it will help in raising funds and coming up with various solutions for the Morocco government. Put e- management framework: The framework of e- management is then put into force which will help in analysing the loopholes and strengths of the plans that have been designed. Assess the needs for government services: Then the needs for government services is assessed, how impactful will it be, what would be the pros and cons, will it lead to development of the entire economy as a whole. Secure funding: Secure funding is then encouraged and practiced by the government so that credibility, reliability and accountability can be ensured. Establishment of partnership with private sector: Partnership with the private sector is established so that more funds are raised and the private sector also contributes to its proposal. Design technical data, sharing of data and service delivery infrastructure: Technical data is then designed and the data is shared with the users of the information. Prioritize projects: Projects are prioritized on the basis of their urgency and importance. Develop implementation plan: Plans for the implementation of the project is then developed in order to successfully implement it. Secure plan: The designed plan is then secured by coding from the intruders and unauthorized persons. Strategy implementations in phases: Strategies are then implemented in phases to check their effectiveness at each step. Measurement of progress: Progress is then measured by evaluating the step by step procedures undertaken. Evaluation of progress and corrective actions: The actions undertaken as above are viewed at each step and are measured to check their effectiveness and corrective actions are taken to improve the actions with anomalies. Surveys and questionnaires: Conducting surveys, personal interviews and questionnaires for understanding the needs of the customers. It also helps in seeking suggestions from the customers and the significant changes they would like to see in the services offered or to be offered to them. E- mails and comment boxes: These offer a great platform for understanding customer feedback and knowing what are the expectations of the customer and what further changes can be brought in the existing strategies. Operations review by forming strategies: Operations review is an in- depth review of the entire process or a specific process to understand the impact of activities and tasks conducted and the changes that can be further implemented or the corrective actions that can be undertaken for better and improved outcome. The operations can be reviewed at each step to understand its impact and further changes that can be brought into. The first thing to be considered is if the government is ready to go in for e-governance or not. If the country can build the basic infrastructure which comprises of financial, legal and technological aspects which is important to conduct business marketing over internet. If it is possible for the economy to create new business. Whether goods can be produced by the nation which would not be possible without making use of the internet. Developed and under- developed countries are facing pressure to opt e-governance. Threat and barriers to e-government is high in developing countries due to slow progress and inadequacy of communication infrastructure. It is also quite likely that the developing country may end up with more imports rather than increasing its exports. 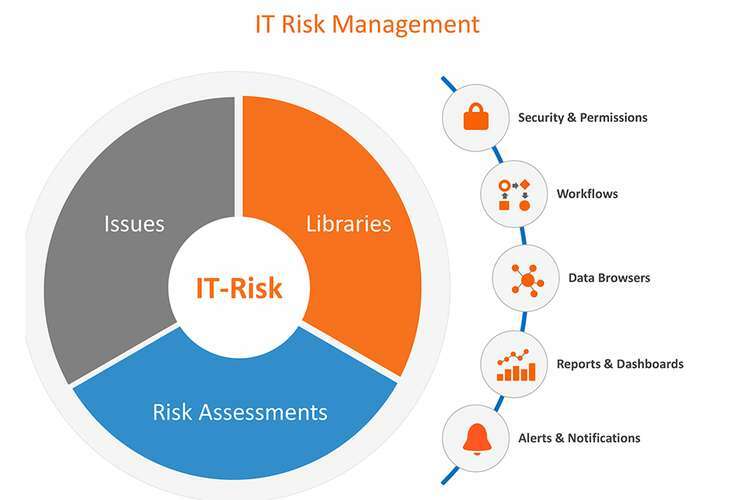 The IT Risk Management Assignment has outlined the key factors in service delivery of government agencies, recommendations are provided for improvement purposes and to bring about significant changes. The report has outlined an e- government service delivery infrastructure proposal for Morocco, developing country. Further, suggestions are provided for integrating the needs of the user into service design. E- Governance is an efficient tool for improving and enhancing the activities and for reduction in cost. Antony, J., Rodgers, B. & Gijo, E.V. 2016, "Can Lean Six Sigma make UK public sector organisations more efficient and effective? ", International Journal of Productivity and Performance Management, vol. 65, no. 7, pp. 995-1002. Gountas, S., Gountas, J. & Mavondo, F.T. 2014;2013;, "Exploring the associations between standards for service delivery (organisational culture), co-worker support, self-efficacy, job satisfaction and customer orientation in the real estate industry", Australian Journal of Management, vol. 39, no. 1, pp. 107-126.